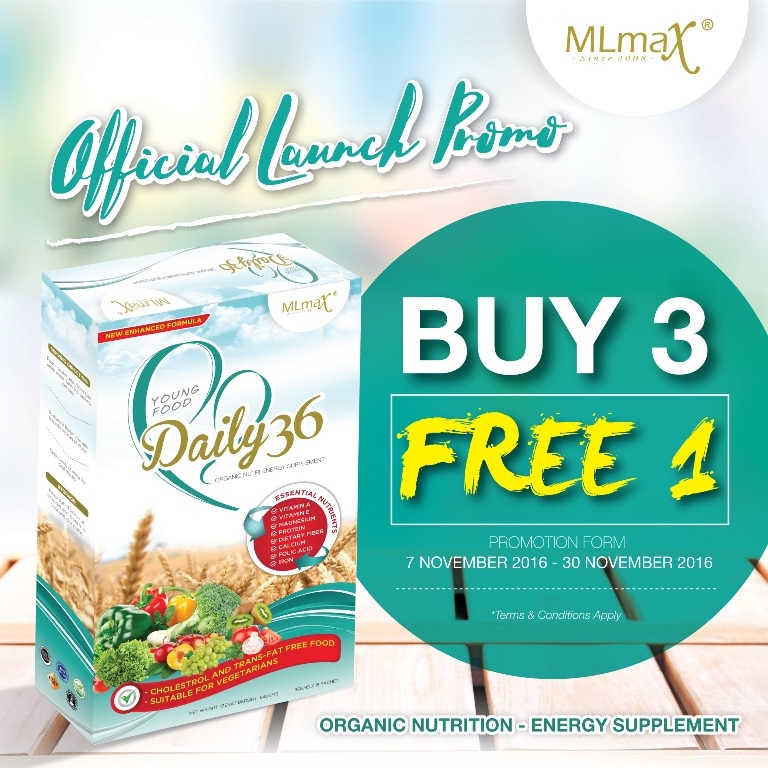 MLmax Young Food Daily 36 official launch promo BUY 3 FREE 1 until 30 November 2016. Don't miss it! For more information, you may visit the nearest pharmacy, organic shop or call 0389480660 now!